Library Cards. 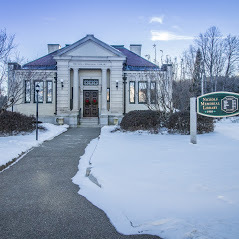 Center Harbor residents, residents of neighboring towns, and seasonal visitors are all welcome to apply for a library card. The library does not charge a fee for non-resident card holders. Please have some proof of address to present when signing up for a card. Loan Periods: print materials and audio books circulate for 2 weeks. DVDs and magazines circulate for 1 week. Items may be renewed unless a reserve has been placed by another borrower. Overdue materials: the Library does not charge late fees but patrons are welcome to make a donation to our conscience jar. Replacement costs are charged for materials that are damaged or lost (materials that are overdue for six weeks or more are considered lost).